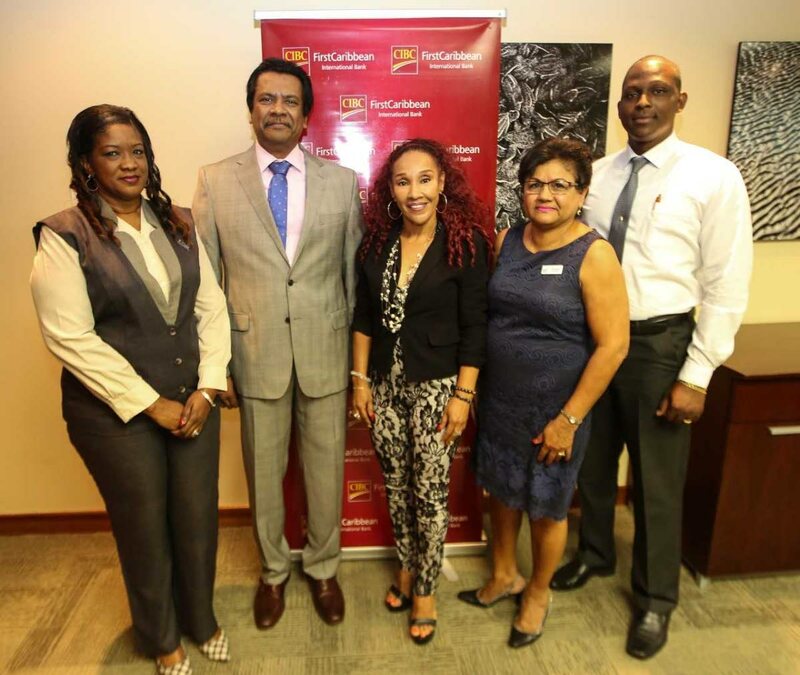 Managing director of CIBC FirstCaribbean Trinidad Operations, Anthony Seeraj, second left, with Sherma Mills-Serrette, left, clinic manager of the TTCancer Society ; entertainer Marcia Miranda representing her charity Children with Cancer Support Group; Lilia Mootoo, general manager of Vitas House; and Kevin Cox, general manager of the Cancer Society. CIBC FirstCaribbean’s Walk for the Cure has again topped the US$500,000 mark in fundraising for cancer causes across the English and Dutch Caribbean. Last year, the combined efforts of the various organising committees, sponsors and participants in the 17 territories where the bank operates raised a total of US $512 367.39 in support of various cancer care and awareness charities. The majority of this was in cash, with some sponsors donating services to assist with fund-raising, said a media release. The number of people taking part in the walk rose to 32,200 from 19,800 in 2017. In 2016, the event also surpassed the US $500,000 mark but the adverse effects of hurricanes Irma and Maria in 2017 led to the cancellation of walks in some territories and a consequent dip in funds raised, the release said. For the past seven years over USD $2.2 million have been raised from the event. The Cancer Society for Prostate Screening, Vitas House Hospice and the Children with Cancer Support Group were the recipients of the TT$140,517 raised by the Trinidad operations. All of the funds raised go to providing assistance, care and counselling to cancer patients and their families as well as to raise awareness through education campaigns across the region, the release said. The funds also help the various organisations to assist with the purchase and maintenance of equipment used in the diagnosis and treatment of cancer patients. Reply to "Cancer walk tops US$ .5M"